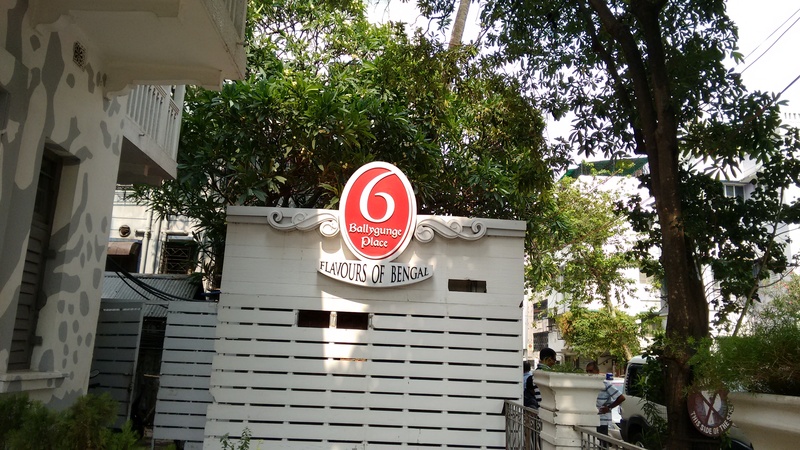 We started out with lunch at the famed restaurant 6 Ballygunge Place. The place is in a British style mansion. We then visited the cemetery on Park street. It was used by the British, between 1767 and 1790. The tombs are of many notable people of the British era, and seem like mini monuments. 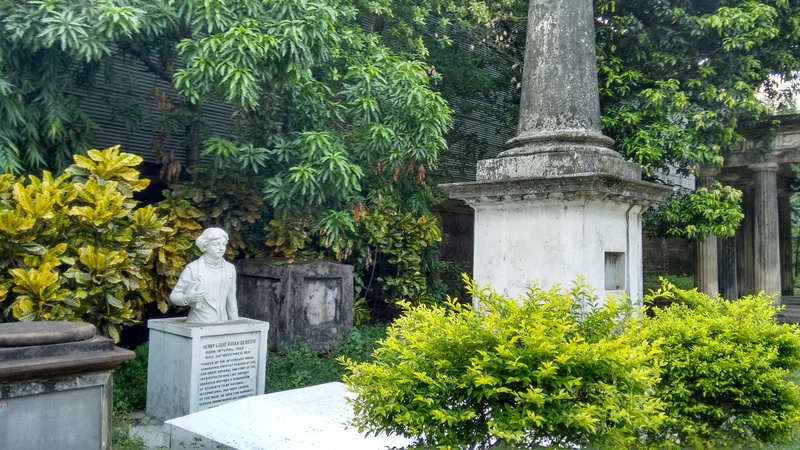 The white tomb in the pic below is of Henry Derozio, a radical Anglo-Indian thinker. 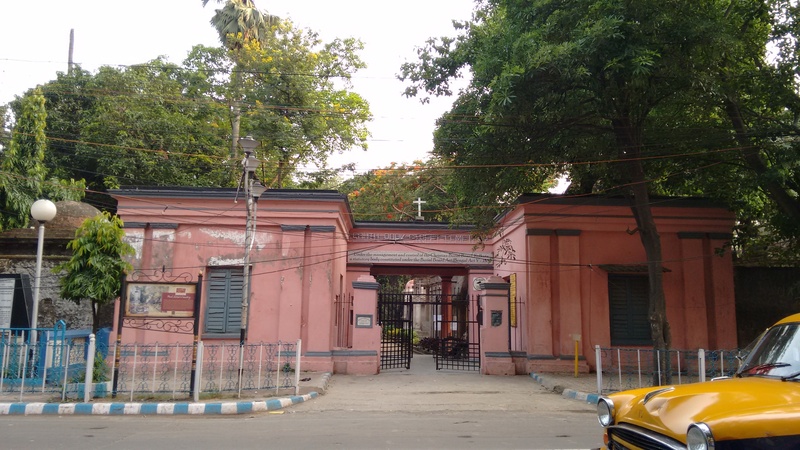 Entrance gate of South Park cemetery. We boarded the tram around 6 pm or so and roamed for 2 hours. 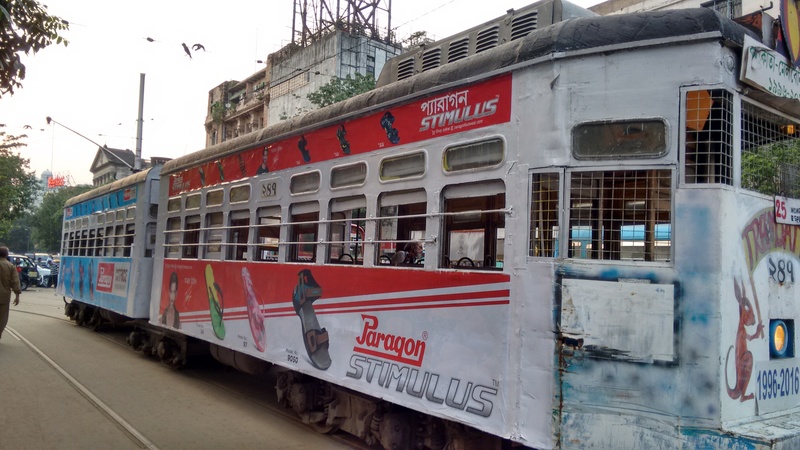 It is the only running tram system in India. It goes at 5 kms/hr, so I was surprised to see people actually using it! There are plan to decommission it soon. The next day, we headed to College street. 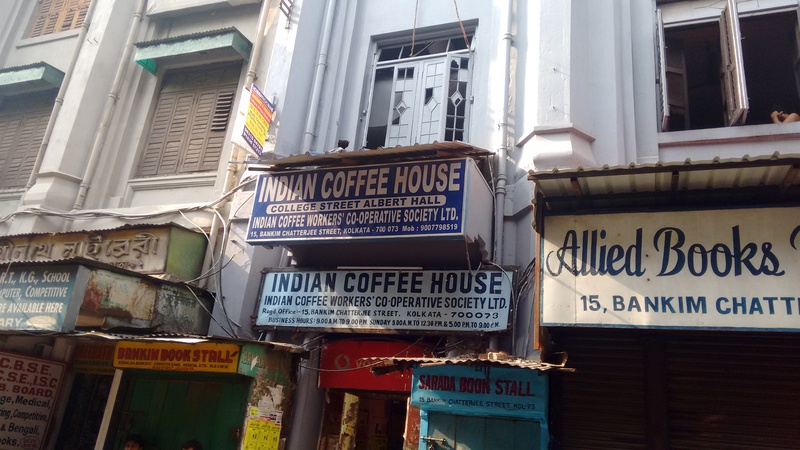 The Indian Coffee House on this street has had eminent personalities like Rabindranath Tagore and Subhash Chandra Bose as customers. Unfortunately, when we reached at 3.30 pm (on Sunday), it was closed. 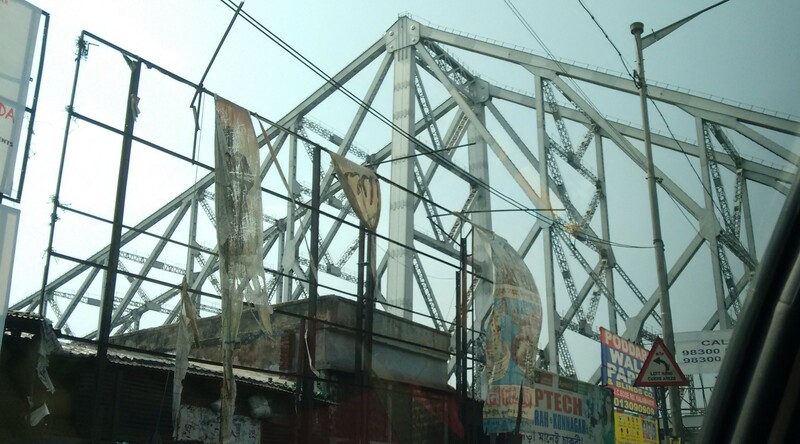 We drove across the iconic Howrah bridge, and then had lemon tea on the banks of the Hoogly river. In the last pic, you can see Vidyasagar Setu (or the new Howrah bridge as it is commonly called).